I recently read Whistling Vivaldi by Claude M. Steele. During his time at the University of Michigan, Steele researched what he found to be a mysterious link between identity and intellectual performance. Steele described what he observed as a core American struggle — an institution trying to integrate itself racially, ethnically and class-wise. What do these factors have to do with each other? Steele found that the sense of belonging students felt on campus impacted their academic performance, future career goals and overall well-being. He called this stereotype threat — being at risk of confirming, as a self-characteristic, a negative stereotype about one's social group. 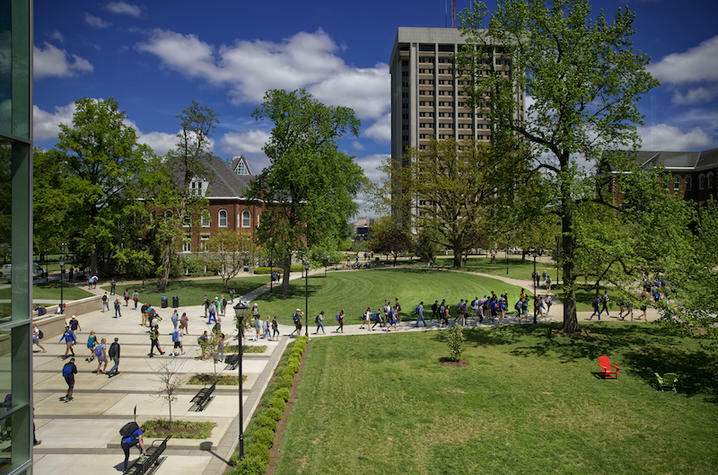 Here, at the University of Kentucky, we strive to provide a diverse and inclusive campus community for our students, faculty and staff. We want all people of all backgrounds, identities and perspectives to feel secure and welcome. Offering anything less limits the extent to which community members maximize their full potential. This goal can only be realized through belonging and meaningful engagement of our students, faculty and staff. It is my hope that all members of our campus community feel a sense of belonging on this campus. The responsibility falls on each of us — students, faculty and staff — to respect and welcome each other with open arms. Mitigating stereotype threat is possible; finding others who have achieved the goals you admire and have overcome the stereotypes you face is an important step. This is why we strive to increase and highlight the diversity of our campus and bring to light those shared experiences. As we jump into this spring semester, I ask each of you to think about what you can do to create a better sense of belonging on campus. I urge you to cultivate new and lasting relationships; be present; give back; invest in each other; do good. Creating and sustaining a sense of belonging on our campus requires us each and every day — in a spirit of partnership — to do the hard work of upholding the torch of excellence. This is the work we must do for our students to succeed and reach their highest potential. This is the work we must do to create a more inclusive campus for not only our current students but for our future students as well.